Texas currently has 166,475 acres on fire. Twenty-four new fires were reported on Sunday, 9-11-11. The two largest wildfires are the Bastrop and Magnolia/ Tri-County fires. Both are currently burning and authorities expect more homes to be destroyed. 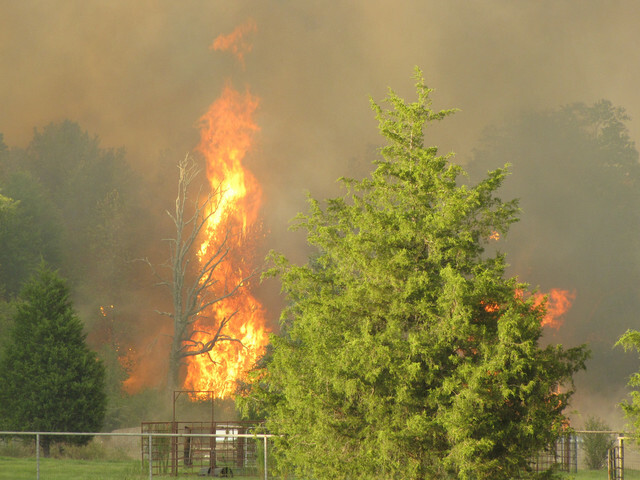 The Texas Forest Service reports the Bastrop fire as 50% contained and the Magnolia fire as 65% contained. We encourage all readers to visit the Texas Forest Service site for updates. Please be advised that the Forest Service gives data on the past seven days only, therefore the damage and number of fires is incomplete. Citizen Patriot Response then inquired as to other shelters in the area. The shelter director stated that there were no other shelters. (There were and are though). The unfortunate interaction with the Red Cross Shelter director is a common experience for any individual or group that tries to get involved as a citizen in helping others. Frequently, FEMA and large NGO’s have a monopoly on “helping.” This centralized approach discourages individuals and communities from getting involved in taking care of themselves and each other. Thankfully, we know that the solution to dealing with this territorial culture of such organizations is to simply talk to people in the areas affected by a disaster. Usually there are many citizen or locally led efforts from a community — even though FEMA and the Red Cross usually indicate that they are the ONLY ones there. A simple chat with folks at a local convenient store or a few calls to local churches from the area’s phonebook usually helps the would-be giver to find an effort needing assistance. BASTROP — Citizen Patriot Response travelled to Bastrop, Texas on Sunday, 9-11-11. Three volunteers worked with us and set out to visit the various shelters in the area. While making the short trip from the Citizen Patriot Response Headquarters and Shelter, a large column of smoke was seen coming from the town of Dale, Texas. We immediately went there. A wildfire had ignited and was only several hundred yards from a number of homes sitting on 1 acre or smaller lots. The Dale Volunteer Fire Dept offered an impressive response along with helicopters from the Texas Forest Service. The skill and speed exhibited by the chopper pilots was awe inspiring. They went back and forth to local stock ponds and doused the flames with water from above. Initially, the authorities began evacuating the small town. Citizen Patriot Response put a call out for anyone with trailers and time to help the residents attempt to save at least some of their belongings. Thankfully, the Dale Volunteer Fire Dept and the Texas Forest Service saved the homes of all but one family. Local residents gathered and Citizen Patriot Response made known to them that shelter space was available and that they could call on us if they came across anyone in need. We explained that there are thousands of Tea Partiers, 9-12ers, and other liberty-minded Texans and all of our heads together could probably find a solution. Needless to say, that went over very well in Dale, Texas. One gentleman named Joel told us about a wonderful citizen-led effort in their area. The “Penning for Jesus” Cowboy Church has been collecting aid and helping the other towns in the rural areas west of Bastrop that were not as lucky and blessed as Dale, Texas. Citizen Patriot Response will be helping that Cowboy church in any way possible and finds their efforts to have neighbors helping neighbors inspiring. Once the black smoke became white, we travelled to the hard hit areas just outside of Bastrop on Hwy 71. The devastation was shocking. We learned that many of the hardest hit areas along Hwy 21 would be opening up on Monday, 9-12-11. We visited the nearby “Celebration Community Church” and they had a shelter established in their sanctuary. This effort was especially heart-warming because local Mennonites were assisting in cooking for everyone. The church is also no stranger to sheltering. They run a recovery house ministry and they do not accept any federal funds. The woman running the shelter effort had tears in her eyes when she told us that FEMA was opening a large shelter in Smithville and that they had insisted that anyone who wanted federal help had to leave the smaller area shelters and come stay in the facility they were working with. She expressed concerns over people feeling pressured to leave the comfort of their church for a large warehouse like setting. We explained to her that we were as confused as she as to why FEMA and the Red Cross insist on victims living in a warehouse when so many citizens are offering up their homes and their comfort. It is the experience derived opinion of Citizen Patriot Response that the federal government and the Red Cross have value and do many needed things. It is also our opinion that the men and women who work on the ground for FEMA or volunteer with the Red Cross are very giving and deserve much appreciation for their service. Another experience derived opinion of Citizen Patriot Response is that the model of aid and relief service that FEMA and the Red Cross use are inefficient, discourage citizens from helping other than to drop off clothes or give them financial donations, discourage community responsibility for helping their own, and leave little room for innovation. It also seems that the comfort of the victims they help is second to being able to show numbers and to ease of management. Yes, everyone being in one big location is easier for the government. However, various groups, churches, and individuals would be much better suited to provide comfort and responsible help to the men and women they serve. It is the opinion of Citizen Patriot Response that both FEMA and the Red Cross should be more interested in helping support efforts for local organizations and churches to help their own communities, rather than coming in and either shutting down or disabling any effort from citizens to avoid being dependent on outside, centralized efforts. Citizen Patriot Response will be visiting the Smithville Shelter, the hard hit area of Cedar Creek, Texas, and looking for other community led and funded efforts which may need support. Please stay tuned for updates on the Texas Wildfire Disaster, groups needing support, groups offering support, and calls to action. Photos and video taken by our volunteers of the Dale fire will be posted soon.